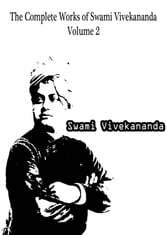 Swami Vivekananda was born on 12th January 1863 and died on 4th July 1902. He was also known as Narendra Nath Datta. He was a firm advocate of Vendatta Philosophies and Yoga. He was a disciple of Guru Ramakrishna and founded Ramakrishna Math and the Ramakrishna Mission. John 15:1-5 I am the true vine, and my Father is the vinedresser. "Real Men Don't Buy Girls" - I. War in Afghanistan is a lost cause.